Time to sell your Las Palmas condo? Read about today's resort-market condo buyer. 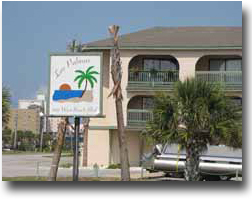 Las Palmas is located in the West Beach area of Gulf Shores, Alabama near the Pier 33 convenient/grocery store. Las Palmas is comprised of 52 individual condos built in 1984. The floor plans are 750 square foot two-bedroom condos. Amenities for Las Palmas include an outdoor pool and a BBQ area. Please let us know if you would like further info for Las Palmas or any other condos, homes, or real estate along the Gulf Coast or would like to schedule a private viewing by emailing info@condoinvestment.com or by calling (251) Area-Pro (251-273-2776) for immediate assistance. Maximize your Las Palmas rental revenue using our RENTAL TIPS. Find additional info for annual rental income at Las Palmas and all other Gulf Shores condos.